Get your FREE Sample issue of Thoroughbred Owner Breeder today! 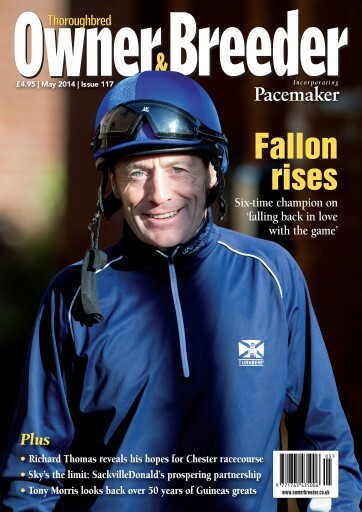 (1 Customer Reviews) | Write Review 12 issues per year Thoroughbred Owner Breeder Incorporating Pacemaker is the leading horseracing and bloodstock magazine in Europe. Each issue is packed with exclusive articles on the big issues and personalities by the best writers in the business, global news reporting and stunning photography. The glossy monthly contains unbeatable coverage of the major thoroughbred sales worldwide and a comprehensive global results section. Whether you’re an industry professional or just a committed enthusiast, Thoroughbred Owner Breeder is essential reading. 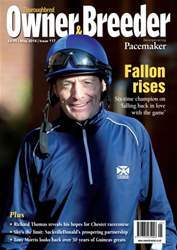 Thoroughbred Owner Breeder Incorporating Pacemaker is the leading horseracing and bloodstock magazine in Europe. 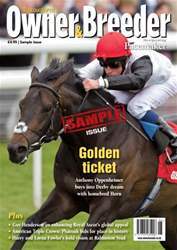 You'll receive 12 issues during a 1 year Thoroughbred Owner Breeder magazine subscription. You'll receive 12 issues during a 1 year Thoroughbred Owner Breeder magazine print subscription.